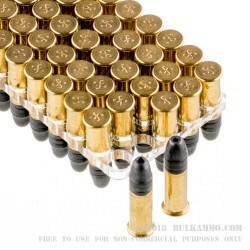 Fiocchi decided to enter the .22 LR ammunition game in 2006. Since then, they have grown in popularity due to their pursuit of a quality round with good value. These Fiocchi Subsonic Hollow Point rounds are manufactured for rapid expansion and are perfect for varmint hunting and plinking. 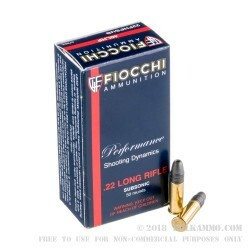 Fiocchi developed this rimfire ammunition as a versatile ammo line to meet the needs of informal target shooters, hunters and plinkers alike. It delivers fantastic performance and excellent value for all. All of these rounds are new production and non-corrosive. 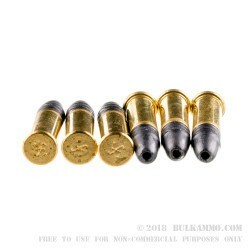 They are rimfire-primed brass, and non-reloadable. For over 130 years, Fiocchi has used their rich Italian heritage to manufacture high quality ammunition that delivers premium performance. Most of the Fiocchi ammunition is loaded in their plant in Ozark, Missouri. However, due to high industry demand, some ammo may be imported from their plant overseas. However, all ammo from Fiocchi is loaded to either C.I.P or SAAMI specs. These .22LR Subsonic 40gr HP rounds have a muzzle velocity of 1,030 feet per second and muzzle energy of 90 ft/lbs. Not too bad for such a tiny thing! Buy a bunch for your rodent problems or just to have fun with! 50 rounds per box and don’t forget your suppressor!